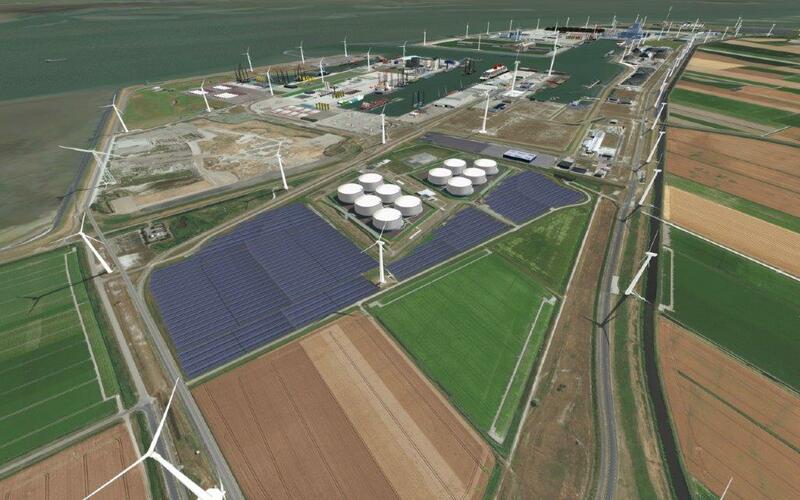 In February this year, Groningen Seaports, Vopak and Whitehelm Capital announced their intention to jointly invest in a 27 MW solar park. In addition to generating clean energy, the team is exploring the possibilities for electricity storage and conversion for a later stage in Eemshaven. The new solar park will be situated on 19 ha of land adjacent to Vopak Terminal Eemshaven, land which is currently already leased by the terminal. The produced green electricity will be made available for local use in Groningen, Vopak terminals and the general electricity market. Based on the available energy infrastructure, Groningen and especially Eemshaven are considered strategic locations for production and storage of renewable energy in the Netherlands. This project will give Whitehelm, Groningen Seaports and Vopak the opportunity to explore further new energy initiatives in Eemshaven.